One-size-fits-all doesn’t cut it in today’s competitive markets. People are demanding information that’s tailored to their unique interests. If you want to earn their loyalty, you need to understand and treat your customers like individuals. 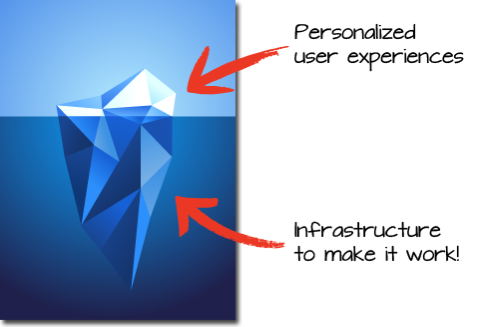 You know that the user experience is just the tip of the iceberg! You don’t have the time to acquire and analyze your customers’ interests. The competition is fierce and you need a solution you can launch quickly. You know your customers and their needs better than anyone. You just need a partner to help eliminate the costs and complexity. Primal is the only solution that supports your customers’ specific interests, to make your service stand out from the crowd! Primal is the most comprehensive source of consumer interest data, supporting the largest number of topics and content sources. We provide the machine-readable semantic data you need to understand the specific interests of your customers and treat them like individuals. Web-scale content aggregation and filtering from any online source you trust, including your own! 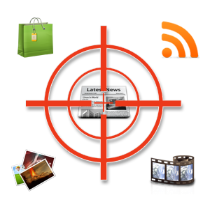 Right out of the box, we can access billions of news, videos, and webpages, to target the content you care about. Primal reduces your development time from months to hours, via a simple API. Painless integration. No software to install. Connect from anywhere. No special training or data scientists required. Our solution specialists and support team are here to help you every step of the way. Primal is much more affordable than comparable big data approaches. There are no costs or risks to evaluate Primal. We offer affordable data subscription plans for companies of all sizes. Primal doesn’t require data collection or customer surveillance. It uses the small signals of interest your customers willingly provide, such as their search queries and link-clicks, making it a privacy-friendly approach to personalization. The data you provision from Primal belongs to you. There are no walled gardens or product lock-in. Our data is open and portable. You can use it in the cloud or download it to your system. Primal provides the consumer interest data and targeted content you need to understand your customers and treat them like individuals. Machine-readable semantic data that describes the unique and specific topics that your customers truly care about. Machine-readable structured Web content, easily integrated into your app or website. Comprehensive understanding of millions of terms of interest across a wide range of knowledge domains. Native support for thousands of the most popular online sources, including multimedia and social media. Customizable for specialized vocabularies such as medical terminology or enterprise controlled vocabularies. Easily add your own trusted sources, via RSS or APIs. Sources may be organized into collections and filtered independently. Standardized presentation of topics as concepts and associated terms. Standardized presentation of content elements across sources, including publishers, titles, abstracts, links, and images. Cross-references exemplary content items that describe the interests in greater depth. 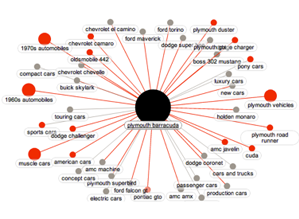 Content is described using topics from your interest graph, as metadata tags. Interests organized in hierarchies of broader, related, and narrower topics. Content items are filtered, scored, and ranked according to your specific interests.